The ASEAN-Japan Centre participated in Okinawa Tabi Festa 2018 from November 23-24, 2018. Okinawa Tabi Festa is a tourism consumer event to encourage Okinawa residents to travel outside of the island. 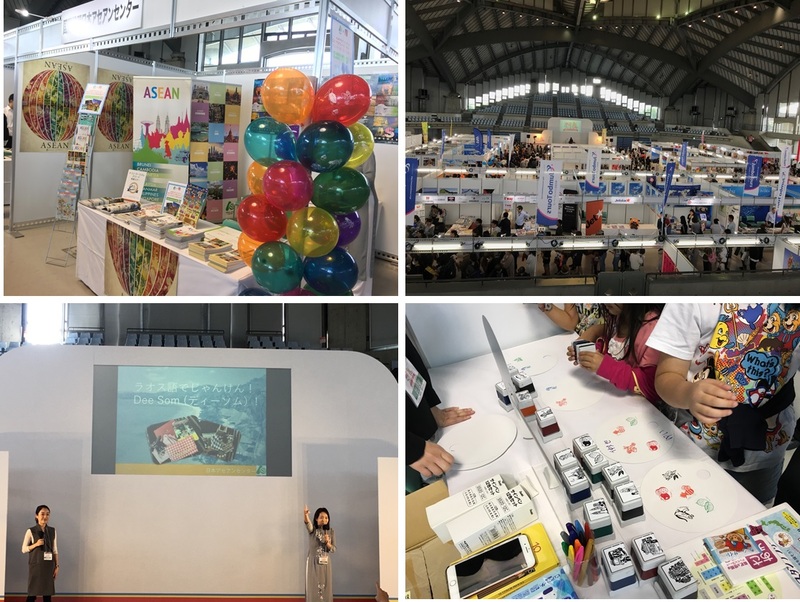 Total of 65 exhibitors from domestic and international destinations, mostly with a direct access to Okinawa, participated in this event to introduce their tourism attractions. At the exhibition booth, AJC distributed brochures of ASEAN travel information, introduced the winning products of the Mekong Tourism Award 2017, and AJC’s effort to promote ASEAN Tourism through SNS, and provided the craft experience corner where participants decorated paper fans using stamps of ASEAN icons. Also AJC promoted the ASEAN destinations on the stage by showcasing the new promotional video of ASEAN, and engaging the audience to an interactive games in Lao phrase to familiarize them to ASEAN culture. Organizers: Okinawa Convention & Visitor Bureau, Ryukyu Broadcasting Corp.